Each transaction involves tax implications, whether a leveraged acquisition, transfer, refinancing, restructuring or initial public offering. Good understanding and planning of these transactions can mitigate risks, maximize opportunities and understand the negotiations. With experience in cross-border transactions and controlling local tax practices in a wide spectrum of sectors, the firm advises clients to make decisions knowingly and manage the tax consequences of their transactions in the light of analysis of possible tax optimization. Our firm has a particular expertise to the completion of the transactions, patterns of recovery in revenues and validation of the deductibility of financial interests. Moreover, we are able to propose alternative structuring to manage the sensitivity of investors prepare outputs and improve cash flow or future profits, in order to increase the return on investment. – Tax optimization of investment structuring and taxation of real estate transactions. – The taxation of real estate financing. – Local taxation, including property taxes developed and undeveloped, annual tax on commercial premises. – Transactional operations of companies operating in real estate. – VAT on property transactions and real estate development. 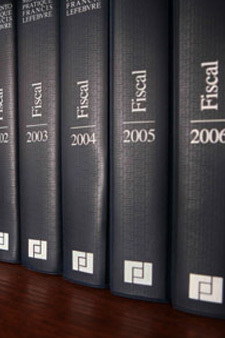 – The study of the tax impact of scheme scenarios of a project or of proposed restructuring. (Presentation of the different options to accomplish the projects and of the most advantageous choice from a tax point of view). – Performing simulations to determine which scenario best lightens the tax burden. – Setting of action plans to optimize the tax position. – Estimation of tax liabilities in the event of default. – Documentation of applicable procedures and the necessary statements in order to benefit from tax benefits. – Assistance and follow up to any application of the tax administration under the tax control.